Project Project: Project Project: Blog Post 100! This is my 100th blogpost, and I am celebrating in all humility with a new blog header that I put together myself. Time to go beyond the Blogger templates, my friends! Aren't I just the budding graphic designer? HTML is not exactly what I'd call my second language, (or third, or fourth, or... ) but fortunately I married someone who communes with our computery friends, so I was able to get it figured out. I was going to add some photos, but then decided that I don't really want to be stuck staring at my own face every time I update my blog. But yay, blog number 100! I started this blog mostly for fun, as a bit of a creative outlet and to indulge my commitment-phobic self by letting me try out all sorts of new things without actually having to stick to any of them. Which is why I can proudly boast that I have been both a vegetarian and a daily exerciser for exactly one week each! 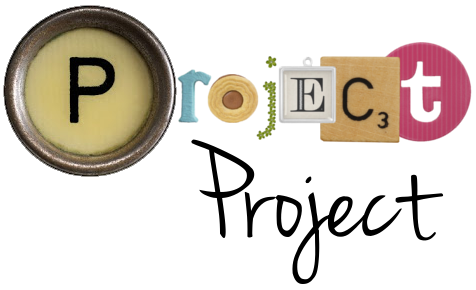 Along the way I discovered a few projects that I wanted to keep up, such as Project Cheer, Know Your Fork and Eco Geeko, all projects I will continue to revisit in the future. Then along came Project Baby and totally rocked my world (AKA took over my every thought and deed). Life-changing events, people, right here on my little ol' blog! So, onwards and upwards! And if you have any suggestions for future projects for me, let me know! project sleep through the night! project put on makeup when venturing outside! These are all projects I, as a new (second time) Mom, are working on. Join me? ...what's wrong with staring at your own face every time you visit your own blog? Bill did that to me, so I am absolved of all responsibility, right? CONGRATS on 100 posts! And I love your new header! Good jorb! Oh - and how about "Project Go To Zumba with Stepper"? Do you still have a gym membership? congratulations! i look forward to each post! your words are always interesting! Craftyashley: believe you me, those are projects we're working on here too! I do have a future project in the works that will include both "Project take a shower" and "project put on makeup when venturing outside", so stay tuned! However, I won't be blogging about how we get our little guy to sleep or any other parenting strategies, because I try to avoid the crazy controversial issues that so often make people forget their manners. If you know what I mean. Tess:Thank you, Tessiepie (banana cream)! I miss your face ever so ever so much. Stepper: Staring at your own face is absolved if you have an awesome header and a cute face. In your case: check and check! Stepper 2: No gym membership these days, unfortunately. But maybe when I figure out how to have a small child and actually do stuff without him attached to my body? Madsta: Thank you, thank you!